At 21, Varun Agarwal is a successful young entrepreneur. He has great achievements to his credit which is unlikely for his age. But is his geniuses proved in his book as well? Let’s find out! He is a bad writer, but he shared one hell of a story! 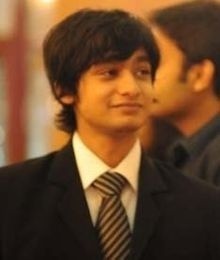 Few months ago I saw Varun Agarwal’s video on YouTube, where he was addressing a huge group of students. When I saw him on stage, I thought he is some 18-year-old trying his public speaking skills. But once this ‘kid-looking-20-something’ started talking, I realized he is no ordinary punk. He is in fact an entrepreneur, that to a successful one! In his lecture he mentioned that he had written a book about his struggled journey, which is solely the reason I picked this book. 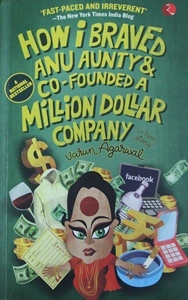 Okay, I admit, the real life character in this book – Anu aunty, was also a strong motivation. Now, this is what I like about the writer. He comes clean and states the above right on the first page! Well that only shows how Varun Agarwal has earnestly written his journey. Agreed, that it’s not well written, but more so, I feel it’s not well edited. Varun starts with the story in no particular order of his life, but rather, he has amalgamated various scenarios from his life. This creates a platform for the reader to understand him, his family, the mighty Anu aunty and of course, his journey. His story brings out, in a humorous way- the typical Indian mindset, parental pressure and sadly how the people in our country discourage entrepreneurship. I find the titles of the chapters extremely catchy. Few examples are- ‘He got only 95 per cent ya’ ‘Mother Swear’ ‘Screw It, Let’s Do It’ and ‘Why this Kolaveri D’. I think the young readers, be it aspiring entrepreneurs or not, they will love this book. The story describes the college life, the after college life which is usually the drinking days, friendship and the numerous problems that every graduate like Varun faces before kick-starting a career. I feel most intrigued by Varun’s observation skills. Being unemployed for more than a year, he had spent lot of time with his mother, her mother’s friends, running errands and observing his mother negotiate and bargain. He applies all these experiences into his new business and finds that these ‘aunties’ are the real life tutorials for advertising, marketing and branding! It’s highly commendable how he learnt and applied it pragmatically. The book ends on a highly inspirational note where he mentions that at one point of our life we all face an ‘Anu aunty’. But we should fight for what we believe in and live our dreams. He quotes Steve Jobs “We’re here to put a dent in the universe. Otherwise why else even be here?” The book is recommended for almost everyone! Watch his inspiring video here.